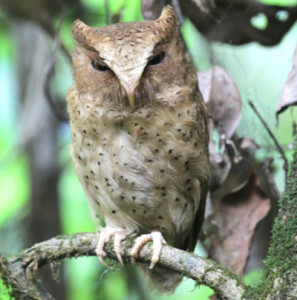 Mammal tour of the western Ghats of South India October 2015 - Bird and Wildlife Team (Pvt) Ltd - The Best Birding and Wildlife Watching Tours in Sri lanka, and Tours in India. Interestingly though members of Bird and Wildlife Team have been leading tours to south India since 2002, in October 2015 after much procrastination over the years we as a team was looking in to developing our portfolio with an additional products. 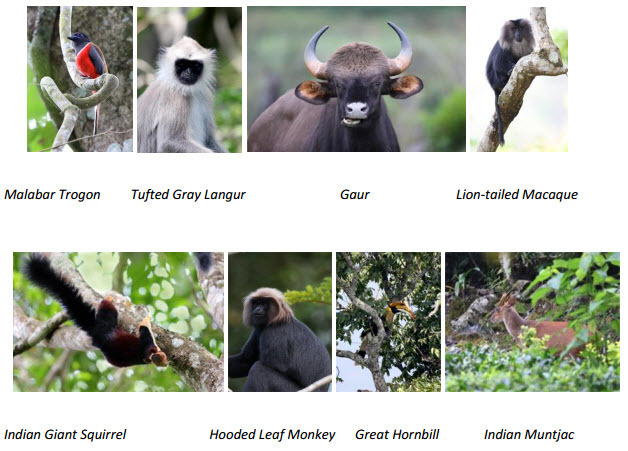 Since our special mammal tours in Sri Lanka became very popular amongst the world mammal enthusiasts during last several years we looked at the possibilities of developing similar tours in South India. 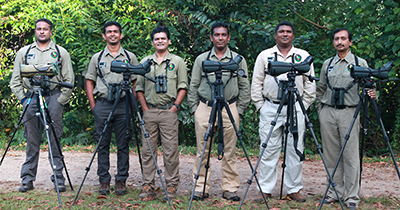 Our success in leading mammal tours in Sri Lanka,has been mainly due to the in depth knowledge, ability to find mammals (both nocturnal and diurnal),and effort in addition to the dedication of our tour leaders in the field. This has enables us to encounter a quite high percentage of mammals of the country on every tour. For several years now our clients have been insisting us to look in to the mammal aspect of the Western Ghats, thus began the preparations for a recce tour there. The logistics, time constrains feasibility and new appropriate properties for lodging was top priority as these aspects could be considered important from a birding aspect as well since some birds are elusive so, we also had to find new sites too. Western Ghats of South India (The range runs north to south along the western edge of the Deccan Plateau, and separates the plateau from a narrow coastal plain, called Konkan, along the Arabian Sea. 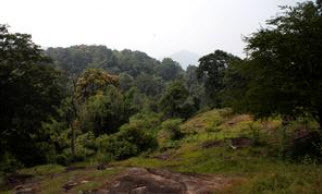 A total of thirty nine properties including national parks, wildlife sanctuaries and reserve forests were designated as world heritage sites – twenty in Kerala, ten in Karnataka, five in Tamil Nadu and four in Maharashtra. The range starts near the border of Gujarat (at South Gujarat region) and Maharashtra, south of the Tapti river, and runs approximately 1,600 km (990 mi) through the states of Maharashtra, Goa,Karnataka, Kerala and Tamil Nadu ending at Kanyakumari at the southern tip of India. 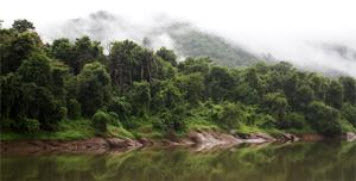 The area is one of the most important hotspots in the subcontinent with at least 325 globally threatened species which occur in the Western Ghats. Major gaps within the range are the Goa Gap, between the Maharashtra and Karnataka sections, and the Palghat Gap on the Tamil Nadu and Kerala border between the Nilgiri Hills and the Anaimalai Hills. 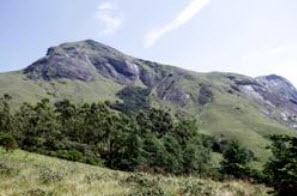 South of the Palghat Gap are the Anamalai Hills, located in western Tamil Nadu and Kerala with smaller ranges further south, including the Cardamom Hills, then. These gaps are significant as those have created some significant diversity in fauna especially in sub-specific forms some of which have been graduated to species level in the taxonomic works in the recent past. Our team’s previous experience in India, subsequent discussion on the preliminary itinerary and fine tuning of it, we came up with the suitable final itinerary for our recce in the South India. Ground arrangements were done just fine, as usual, by our ground agent in south India with whom we regularly work. We also must emphasize the fact that some of our dear friends and fellow birders at national parks, met up with us during the evenings when we were free and was great to see them. Our emphasis was more on the mammal aspect and birding was secondary. Much of the time was spent looking in to the feasibility of conducting mammal watching tours there. Another of our priorities was to look in to the feasibility of conducting nocturnal drives. It is somewhat difficult to carry night drives in India, but knowing the right people at the right sites helped us a lot in this aspect. 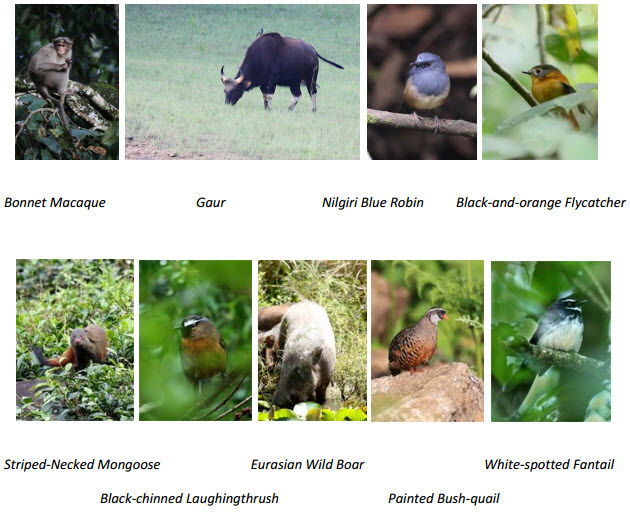 It must be reiterated that we likewise looked in to new sites for some of the more elusive endemics of the Western Ghats, which at times was quite a task in finding, though our experience have been fabulous from the birding perspective. One would know that these sites keep shifting and constant visits needed apart from net working with our birding friends too. We annually do on an average at least two to three tours there. Our sightings on bats and rodents was poor, nevertheless this aspect can be improved upon. Most importantly we discovered several sites with a high potential of observing some of the most sort after and elusive mammals such as Nilgiri Marten, Fishing Cat, Leopard Cat, etc. We had 228 of bird and 47 mammal species on this tour. Much of the time was spent on forest birding and looking for the elusive mammals. Day 01–03 (08–10 October 2015) Arrived in Kochi and transferred to Thattekkad.We spent three nights at Thattekkad. 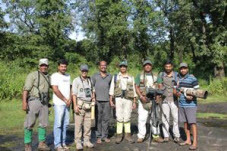 As a result of the conflicts between Forest department and villagers Thattekkad Bird sanctuary (which is the main attraction of this area) was close to the public for last five years. But our knowledge on the alternative sites gave us a good base for the mammal watching in the area. Our afternoon birding session end in just after dark and we came back to the hotel for our dinner and a rest. We started our first night session subsequently. Even though heavy rain forced us to shorten this night session to about two hours it was a successes full one. 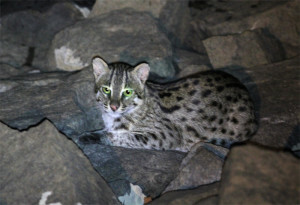 Most importantly we found an area with a good potential to see Leopard Cat which is a difficult species to find. Although we manage to do a fair amount of birding during the day time despite the occasional rain most of the nocturnal drives were rather short due to rain. However we managed to get 18 mammal species from this area including 8 species of nocturnal mammals. Indian Giant Flying Squirrel,Travancore Flying Squirrel, Grey Slender Loris, Indian Chevrotain and Painted Bat are some of the highlights of this area. Other wildlife attractions were Southern flying Lizard (Draco), Malabar Pit Viper and Travancore Wolf Snake. Day 04–05 (11–12 October 2015) Morning we left for Periyar Tiger Reserve for two nights. One of the main focuses here was to do the boat trip into Periyar Lake to observe the Smooth coated Otter and we were lucky to encounter them. But there is more to that as far as wildlife is concerned. Surrounding forest harbor a large number of wildlife which you will never see from the boat. 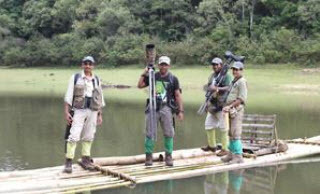 Our knowledge on the forest paths provided us good number of wildlife from this area. 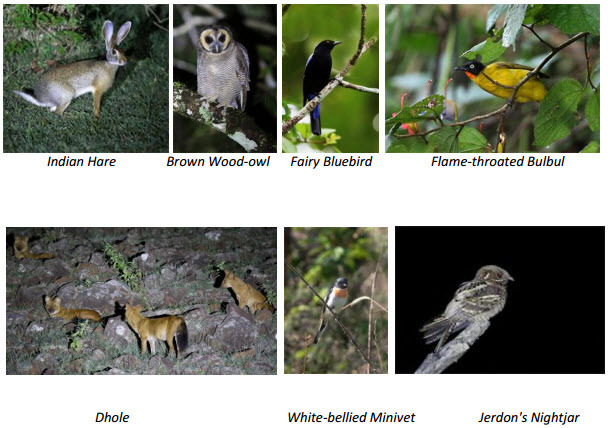 We saw total of 19 mammal species including 9 species of nocturnal mammals. On one of the night treks we missed a Sloth Bear by a few minutes, but a vehicle which had passed the site after us had seen the bear. Unfortunately we could not go back to see the animal due to the park rules. Highlights of this area were a family of 5 Smooth-coated Otter seen in both days from the boat. 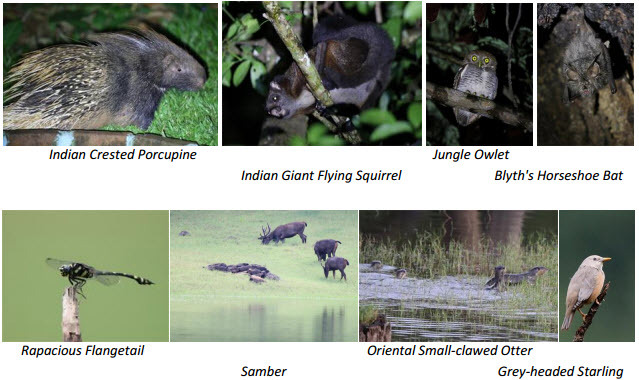 Oriental Small-clawed Otter, 2 Species of civets, Indian Crested Porcupine and Rusty-spotted Cat. Other wildlife attractions were 18 species of Odonats (dragon flies and damsel flies) and 32 species of butterflies. Day 06–08 (13–15 October 2015) Morning transferred to Munnar for three nights. Munnar is an old colonial hill station. This was our first exposure to the highland mammals during this trip. Due to the importance of this area for the mammals and birds we planned to have three days here. This was the best chance we would have had for the Nilgiri Marten, a very elusive, very rear carnivore occurring only in the Western Ghats. We have the knowledge of several worthy sites in the area for this species. Even though we found fresh scats we could not see it. 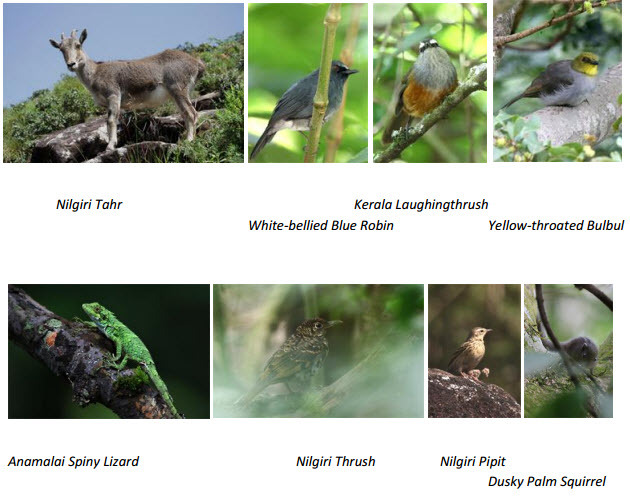 We encountered total of 12 mammal species in Munnar. 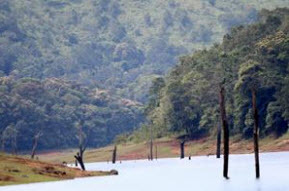 Rajamalai or better known as Eravikulam National Park is one of the most important sites to visit. This is possibly the best site to see the Nilgiri Tahr, India’s southernmost mountain goat species, and was a highlight of the area and is much adored by the locals as well as people around the globe especially mammal watchers. We also had several sightings of large herds of the Gaur or also known as the Indian Bison in other forests and national parks we visited. Day 09–10 (16–17 October 2015) Morning we left for Sethumadai for two nights. En-route to Sethumadai we stopped at Chinnar National Park where we observed Tufted Grey Langur and we made a detour to Valparai in order to observe the critically endangered Lion-tailed Macaque. Indira Ghandi National Park or famously known as Top Slip is a low country Shola forest rich in wildlife. Trekking through the forest paths, revealed much of its wildlife secrets here. Here we had our first encounter with wild Asian Elephant. We encountered 14 mammal species in the park. Seeing 65+ Great Hornbills, especially 58 in one fruiting tree was indeed a very special moment. Day 11–12 (18–19 October 2015) Morning we left for Ooty for two nights. Ootacamund also known as Ooty is a colonial British hill station much celebrated during that period in the south of the country. Here we were looking for the highland mammals and the birds as well. 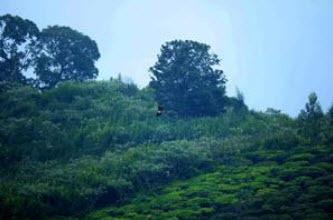 Most of the forested areas were replaced by the tea or other cash crops.Small remnant forest patches are the most important sites in this area. Out of the 8 species of mammals observed here the Hill Shrew topped the list. Day 13–16 (20–23 October 2015) Morning transferred to Mudumalai for three nights at Mudumalai. 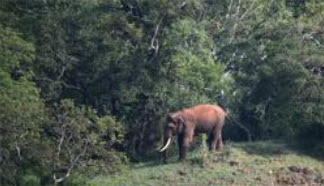 Mudumalai is one of the largest National parks in the South India contiguous and conjoined with few other reputed National Parks. This area is excellent for the mammal watching. Sparsely placed large trees, grasslands and shrub forests provide good habitats for several mammal species and is excellent for observing them. time we got there. Subsequently we could hear alarm calls of Spotted Deer which was quite obvious of the presence of the animal. Our effort to see it, failed. 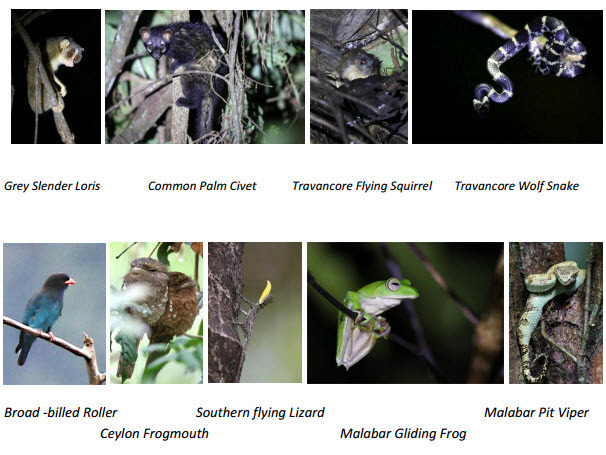 We encountered 23 species of mammals including 10 nocturnal mammals. Sri Lanka Giant Squirrel, Striped-necked Mongoose and Jungle Cat were amongst some of the highlights from this area. But the principal highlight was a family group of 8 Dhole (a wild dog species found in most parts of India) carrying out a group hunt. Day 16 (23 October 2015) Morning at Mudumalai, and subsequent transfer to Bangalore for departure to Sri Lanka.